Freres Lumber Co. hopes its new-to-market, veneer-based massive plywood panels will revolutionize construction. The Oregon-based manufacturer announced its new veneer-based panels in October after more than a year of development and performance testing at Oregon State’s Advanced Wood Products Laboratory. Freres says the panels, known as Mass Plywood Panels (MPP), could be used for floors and walls in multi-story commercial buildings, and they could be made to order. Designed to be an alternative to cross-laminated timber, Freres’ massive panels can be as much 12-feet wide, 48-feet long and 2-feet thick. 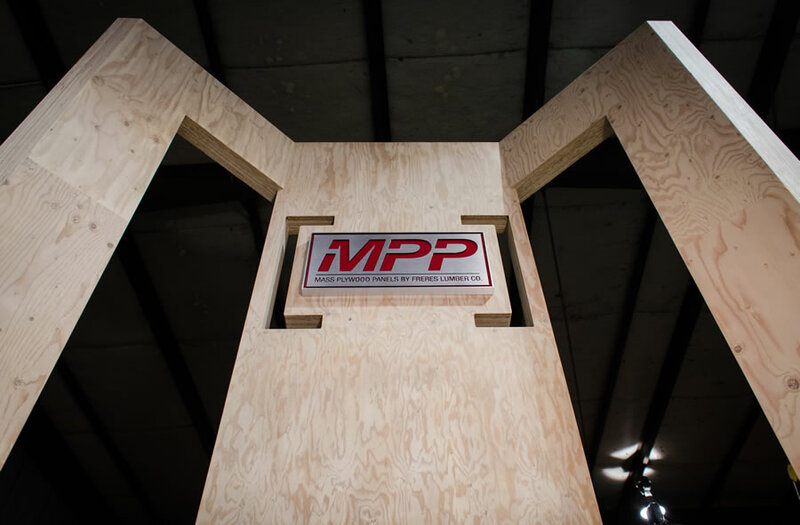 Freres says there are many potential benefits:Structures made of MPP could be made in days instead of months, says Freres, and use 20-30 percent less wood than cross-laminated timber. The lightweight nature of MPP could reduce truckload transport costs. Large format panels could be manufactured at a facility to include window, door, and all other required cut-outs – minimizing waste and labor on the job site.